If you love going off-piste, then Europe can be your playground if you know where to go. The Alps offers some of the best ski terrain in the world, and a good proportion of this is off-piste. As the holy grail of skiing, finding the right place to ride the powder which is isn’t too crowded can be tricky. There’s nothing like exploring unguided routes and an exciting downhill challenge with spectacular scenery. We’ve compiled a list of the best places to find off piste skiing – so what are you waiting for? As one of the biggest ski resorts in the Alps, you’d expect Chamonix to have some thrilling off piste skiing – and it doesn’t disappoint. 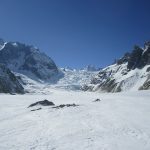 It is renowned for its vast off piste terrain, especially The Grand Montets and La Vallee Blanche. 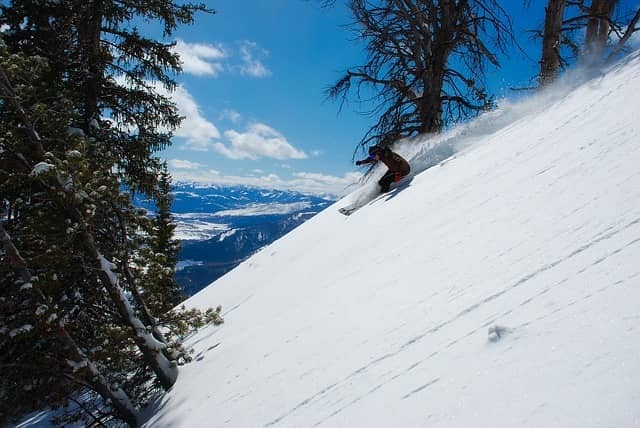 Choose from a range of powder runs featuring tree skiing, wide steep slopes and glacier systems. Another advantage of Chamonix is that it has off piste options for all abilities. Of course, all of these fantastic routes sit beneath the majestic backdrop of Mont Blanc, making the ride even more enjoyable. This ski area has a reputation as a freeride destination, as more and more off piste ski terrain gets discovered. Fierberbrunn is a fairly small resort but has a lot to offer when it comes to off piste runs. Some of the most interesting terrain actually requires hiking or traversing to make it accessible, so you know you’ll almost have the mountain to yourself. Visit Fierberbrunn while you can as a ‘hidden gem’ as it is bound to be made more accessible with more lifts in the near future. Feeling adventurous? Head to Verbier for some thrilling off piste routes down the back of Mont Fort and Mont Gelé. This is a great destination for off piste enthusiasts as the options are so fun and accessible. One route is famously called the Stairway to Heaven – who wouldn’t want to try that? Located in the centre of three valleys, Gressoney has advanced skiers and freeriders flocking. Boasting 13 peaks over 4000m, this ski resort has more accessible off piste terrain than most. Most of it is undeveloped and with reliable snowfall, Gressoney is a powder wonderland for off piste skiers. If you’re going off piste, make sure you’re well prepared and take advice from local mountain guides. Even experienced skiers can become involved in accidents when exploring unknown terrain, so hire a ski instructor or guide if unsure. If you plan to go, find a comfortable place to stay.